For those who have flat feet, running barefoot may help strengthen muscles in your arch and ankles. Those who do a lot of physical activity or run often may experience their flat feet lacking pronation, when the arch compresses to help with shock absorption as force is exerted on the feet. The force is instead shifted to the ankle or up along the calf or knee. 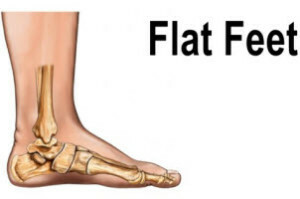 Treatment for flat feet includes custom orthotics, over-the-counter insoles, and motion-control running shoes to help correct your flatfeet condition.